The Egyptian Ornithological Rarities Committee (EORC) was launched in January 2010 to become the adjudicator of rare bird records for Egypt and to maintain the list of the bird species of Egypt. A new report of the EORC has just been released. It includes the first records for Egypt of Balearic Shearwater Puffinus mauretanicus, Yellow Bittern Ixobrychus sinensis, Wahlberg’s Eagle Aquila wahlbergi, and Pied Crow Corvus albus, which are four additions to the category A of the Egyptian bird list. It also includes the first post-1950 record of Tawny Eagle Aquila rapax, which moves from category B to category A, and the second record of African Openbill Anastomus lamelligerus. The report also presents a few details on the discovery of a population of Chestnut-bellied Sandgrouse Pterocles exustus in Elba National Park in the Halaib Triangle. 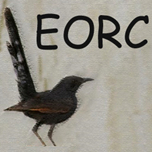 This 4th EORC report and the updated list of the birds of Egypt are available HERE. Currently, the EORC will start voting on a large set of new reports, including several potential first for Egypt, for a 5th report planned early 2019. We therefore ask observers to submit their reports of rarities, even if they concern birds observed in previous years. The list of rare species considered by the EORC and a form to submit rarity records are available HERE. We do hope to receive your support and your reports on rare birds in Egypt!